CONSUMERIST: REFUGEE DEAL PROFOUNDLY EMBARRASSING! â€˜I must remind Chris Bowen that the High Court judgment was just not a ‘profoundly disappointing’ one as he claimed but believe me, a profoundly embarrassing one for both Australia and Malaysia in the eyes of the international community! Most damming was that it was told that Immigration Minister Chris Bowen had no legal power to remove from Australia asylum seekers whose refugee claims had not yet been processed. Perhaps Chris should tender in his resignationÂ now as he undertook something which the courts found he had no legal authority to do? Someone once again royally screwed up and did not do their homework which has left two nations in an embarrassing position! More so, when Malaysia prematurely has already begun sending registered refugees to Australia, and this court decision leaves hundreds in legal limbo! I was not the least surprised that Australia’s High Court has ruled a government plan for a refugee “swap” with Malaysia was unlawful! For the record and under the deal, Australia would have sent 800 asylum seekers to Malaysia and would have received 4,000 refugees in return over four years. But the Australian High Court ruled that Malaysia did not offer adequate protection for refugees in law, in what correspondents called a “huge blow” to both governments. Not mentioning the verdict was utterly damming! Australia’s Immigration Minister Chris Bowen said he was deeply disappointed. I must remind Chris that it was just not a profoundly disappointing one but believe me a profoundly embarrassing one for both Australia and Malaysia in the eyes of the international community! The court’s ruling was praised by refugee advocates – and I am advised by colleagues in the legal and enforcement fraternities in Australia and diplomatic circles that there are reports that asylum seekers held at Australia’s detention center on Christmas Island in the Indian Ocean clapped when they heard of the judgement. A second slap across the face I must add! Actually from the onset this was a ‘political charade’ and the “Malaysian Solution” was intended to deter asylum seekers and the people smugglers who sell them passage to Australia – as well as combat perceptions that the Labor government of Prime Minister Julia Gillard was soft on asylum seekers! It is now obvious and concurs with legal opinion and advice given by consumerists, legal and diplomatic fraternities that in a 5-2 ruling, the High Court accepted the argument made by lawyers for two Afghan asylum seekers that the exchange was illegal as Malaysia, which is not a signatory to the UN convention on refugees, offered inadequate legal protections for asylum seekers. It said Australia would fail to meet its international obligations under the terms of the deal. Something perhaps, some countries around the world who control their judiciary have no knowledge of? Will Chris Bowen now resign? Someone once again royally screwed up and did not do their homework which has left two nations in a profoundly embarrassing position! In my country, we call it PADAN MUKA! CONSUMERIST – MERDEKA 54 FOR JUST, FAIR AND HARMONIOUS MALAYSIA? This Merdeka 2011, I would like to remind our politicians from both political divides, the VVIPs, the race based NGOs, the Civil Society, and others that the moment we fail to fight for EACH OTHER or FAIL TO TREAT each other as human beings we have lost our HUMANITY! It is a pity, that we have moved so3 far away from the ‘MERDEKA spirit’, spirit of the first Federal Constitution and the aspirations of Malaysia’s founding fathers all for political expediency, financial and political greed and agenda! This day like millions of peace loving and GOD FEARING MALAYSIANS I pray for a fair, just, corrupt free and harmonious Malaysia! CONSUMERIST: PETROL STATION ROBBERIES – WHO IS PROTECTING CONSUMERS? â€˜Robbing petrol stations, or robbing at petrol stations, is a terrible crime. It should be condemned and efforts should be made to upgrade security. Just protecting your workers behind locked station is not enough, having more CCTVs is great but more important having trained able bodied armed security guards on the site! While other foreign tourists come to Pahang to spend money on shopping and sightseeing, a few Middle Eastern people have been making money by stealing and robbing petrol stations. The robbers traveled in groups of three to five people, including women and children as young as 14, and had been going on a robbing spree since February. Police have identified some of the Middle Eastern men and women involved. They would walk into the stations under the pretext of changing money before grabbing the cash in the counter. The question is herein asked: Why is it that petrol stations are targeted by criminals? Perhaps, it is the fact that the petrol station remains stationary, and is a convenient target. Criminals can plan when and where to attack — at their convenience. They may be hiding in vehicles parked or on motorcycles at the petrol station, simply waiting for the right moment (or the right person) to launch their attack on! The incident above — grabbing money at the counter — is only a petty one. More serious crimes have occurred. As Mr Wong was about to get into his Honda, a black car pulled up. Out jumped a man with a chopper and another with a baseball bat. The chopper-wielding robber aimed his weapon at Mr Wong’s head. The blade sliced into the tendons of eight fingers and the third and fourth blows struck him on the neck, causing deep gashes. Covered in blood, Mr Wong staggered backwards. The two robbers then jumped into his Honda and sped away, with the black car following. The temptation to take money from the petrol station cashier is nothing new. I am advised that in May 2008, for example, smartly dressed robbers descended from their Toyota Alphard upon two petrol stations in Simpang Ampat and Lubok Cina (Alor Gajah) and extracted a total of RM5,500 and various valuables. (Ref: New Straits Times, 8th May 2008. In September 2007, a security guard was killed when three youths robbed a Shah Alam petrol station after midnight — all for the sake of RM4,000. (Ref: The Star, 1st Sept. 2007. Petrol station robbed, security guard dies.) In the second incident, the foolishness of the cashier in opening the door may be pinpointed as the main factor for the robbery ever taking place. Another factor may be robbers which lie in wait at banks, watching people who make big withdrawals. But how often do robbers watch from within banks? It is possibly a collaboration between the robbers and the security guard. 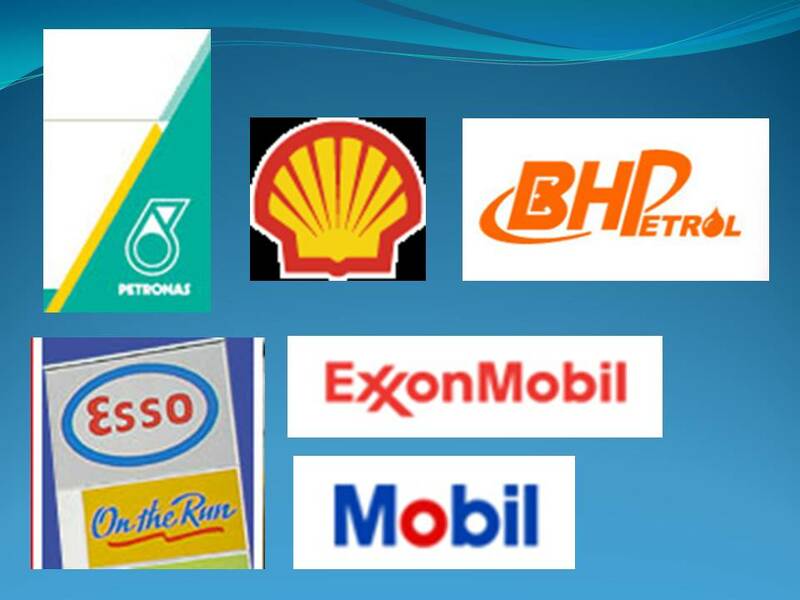 In September 2007, a 28 year old businessman was robbed at RM275,000 at a Petaling Jaya petrol station. How likely was it that the security guard would miss the robbers? Good in house practices of keeping minimum cash for change, and keeping big amounts in a secured strongbox [which cannot be stolen] drastically reduce the incidence of robbery. Most petrol purchase transactions are by credit card, so the amount of hard cash at night is not too much. Sadly our women folk – mothers, wives, daughters, grandmothers, have also being victims from robbery to been raped by robbers at petrol stations. Women should also take extra precaution when driving out alone late at night and walking in empty or badly lit car parks. This is after an increase on the number of robbery cases involving female victims. 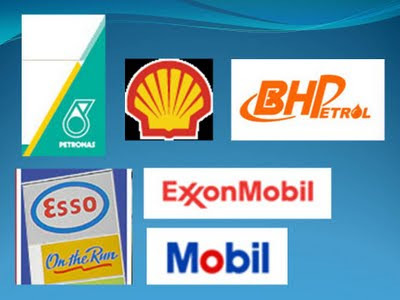 Among the latest victims in 2011 were 65-year-old retired teacher and a female doctor who was at a Shell petrol station at Kayu Ara PJU 6a last Wednesday August 24th at 6am when she was robbed by two men on a motorbike. The footage of the crime was caught on the petrol stationâ€™s CCTV, and shows the robbers carrying out the said robbery in the presence of other patrons. Each time a handbag is stolen, important documents like Identity Cards, driverâ€™s license, ATM cards, passports credit cards are lost as well, resulting in unbearable trauma and anxiety for the victims. Finally, a video dated 6th Feb 2006 shows a robbery taking place at a Malaysian petrol station. It shows that robbers at a petrol station, late at night, would pretend to buy something so that the cashier will open the cash box. I wonder which petrol station it was. Back to the story of the Turkish “family” — using women and children is really a clever idea. Robbing petrol stations, or robbing at petrol stations, is a terrible crime. It should be condemned and efforts should be made to upgrade security. Petrol station operators have a duty of care to protect their customers and not just themselves, you stupid idiots! Persatuan Pengguna Subang Jaya dan Shah Alam (CASSA) bercadang melaksanakan projek perintis sukarela menyasarkan penglibatan kira-kira 500 pengguna motosikal seluruh Lembah Klang bagi menangani jenayah samun dan ragut semakin berleluasa. Presidennya, Dr Jacob George berkata ia berikutan aduan diterimaÂ daripada beberapa individu baru-baru ini mendakwa menjadi mangsaÂ jenayah samun dan ragut di stesyen minyak, pusat membeli belah danÂ pasaraya kecil menjelang musim perayaan. â€œBagaimanapun pelaksanaan projek perintis ini masih di peringkat awalÂ memerlukan kajian terperinci serta perbincangan bersama pihakÂ berkuasa. â€œSehubungan itu, saya akan mengemukakan cadangan ini kepada menteriÂ dalam negeri dan ketua polis Selangor berharap mendapat maklum balasÂ positif,â€ katanya kepada pemberita di Subang Jaya, tengahari tadi. Mengulas lanjut, Dr Jacob berpendapat sekiranya projek perintis iniÂ mendapat maklum balas positif sudah pasti akan meringankan bebananÂ dihadapi anggota polis. Menurutnya, pada peringkat permulaan, projek perintis akanÂ dilaksanakan di seluruh Lembah Klang terlebih dahulu dalam tempohÂ terdekat. â€œSekiranya mendapatkan sambutan menggalakan dari pengguna motosikal,Â kemungkinan besar penyertaan ini akan diperluaskan ke negeri lain,â€Â katanya. Ditanya mengenai syarat kriteria diperlukan menyertai projekÂ perintis, Dr Jacob berkata penyertaan terbuka kepada penunggangÂ motosikal pelbagai peringkat usia termasuk mat rempit khususnya yangÂ berminat dalam usaha menangani jenayah samun dan ragut. â€œMereka boleh menghubungi talian hotline 016-3261700 untukÂ mendapatkan maklumat lanjut atau mengunjungi pejabat CASSA terletakÂ di Taman TTDI Jaya Shah Alam,â€ katanya. CONSUMERIST: WOMEN URGED TO TAKE EXTRA SECURITY PRECAUTION! The Consumers Association of Subang Jaya and Shah Alam (Cassa) urges all Malaysian women to take extra precautions when visiting various public places including banks, supermarkets, shopping centres and petrol stations. Among the latest victims were 65-year-old retired teacher and a female doctor who was at a Shell petrol station at Kayu Ara PJU 6a last Wednesday at 6am when she was robbed by two men on a motorbike. Each time a handbag is stolen, important documents like IC, driverâ€™s licence, ATM cards, passports credit cards are lost as well, resulting in unbearable trauma and anxiety for the victims. Cassa urges the government to compel these outlets to install proper CCTV recording equipment, have adequate trained security personnel and warning sirens to protect the consumers even more. Cassa also appeals to the members of the public to rush to the aid of victims and persons in need and alert the police if they witness a crime. 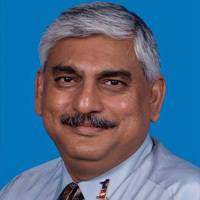 Cassa also urges he Home Ministry to increase police patrols and use more methods to undermine and address criminals.